The privacy commissioners of Alberta and Canada are launching investigations into the use of facial recognition technology without consent in at least two malls in Calgary. The privacy commissioners of Alberta and Canada are launching investigations into the use of facial recognition technology, without the public's consent, in at least two malls in Calgary. A notice posted Friday to the Alberta privacy commissioner website says the investigation will look to determine, "what types of personal information are being collected, whether consent for collection or notice of collection is required or would be recommended, for what purposes personal information is collected, whether the data is being shared with other businesses, law enforcement or third parties, and what safeguards or security measures are in place to protect personal information." A similar notice was also posted to the Office of the Privacy Commissioner of Canada website on Friday. "The investigation was initiated by commissioner Daniel Therrien in the wake of numerous media reports that have raised questions and concerns about whether the company is collecting and using personal information without consent," it reads. 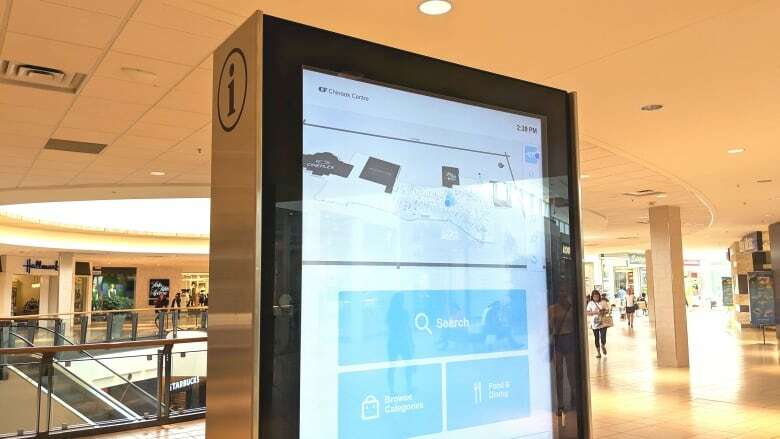 A visitor to Chinook Centre in south Calgary spotted a browser window that had seemingly been left open by accident on one of the mall's directories, exposing facial-recognition software that was running in the background of the digital map. They took a photo and posted it to the social networking site Reddit. The owner of the mall, Cadillac Fairview, said the software was also running in Calgary's Market Mall and others across Canada, one of which is Polo Park in Winnipeg. Alberta's privacy commissioner, Jill Clayton, opened the investigation based on the level of public interest, said spokesman Scott Sibbald. A public complaint was received by the privacy commissioner's office on Friday, said Sibbald, "outlining general concerns with the use of facial recognition without consent at Calgary malls operated by Cadillac Fairview." "Anyone with concerns that their information was collected without consent may submit a privacy complaint to our office," he said. Tobi Cohen, a spokesperson for the Office of the Privacy Commissioner of Canada, earlier said they would be in touch with the Alberta privacy commissioner about concerns over the practice. "Generally speaking, our office has identified facial recognition as having the potential to be the most highly invasive of the current popular biometric identifying technologies," she said by email. "Faces have been transformed into electronic information that can be aggregated, analyzed and categorized in unprecedented ways." A statement said the provincial and federal privacy offices will co-operate with each other. The company earlier declined an interview but sent an emailed statement that said the cameras in the mall directories are used to better understand traffic flow and they "do not record or store any photo or video content." "In June, we began testing software that tries to predict approximate age and gender to further understand the usage of our directories, and with this still no video or photo feed is recorded or stored," wrote Janine Ramparas, the director of corporate communications for Cadillac Fairview. "But to clarify, the software that predicts age/gender was being tested, we have not rolled it out." ​With files from Anis Heydari and Elizabeth Snaddon.